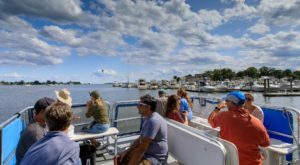 When you think of Connecticut’s iconic dishes, things like lobster rolls and steamed cheeseburgers come to mind. 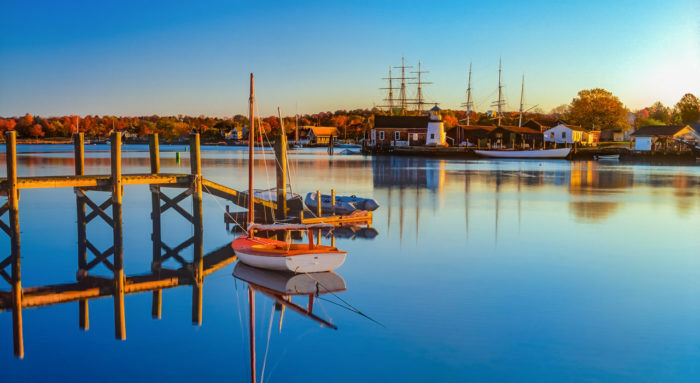 While those are delicious choices, the more adventurous eater may want to tackle some of the insane food the Nutmeg State has to offer. From odd flavor combinations to massive portions, if these crazy dishes don’t appeal to your taste buds, they will at least get lots of love from your Instagram followers. 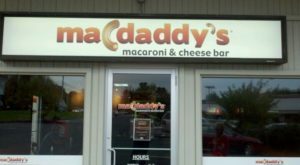 Connecticut is a popular place for pizza with cheese loaded pies around every corner. But at BRICK + WOOD, one pizza has taken on the sticky sweet taste of campfire treats. 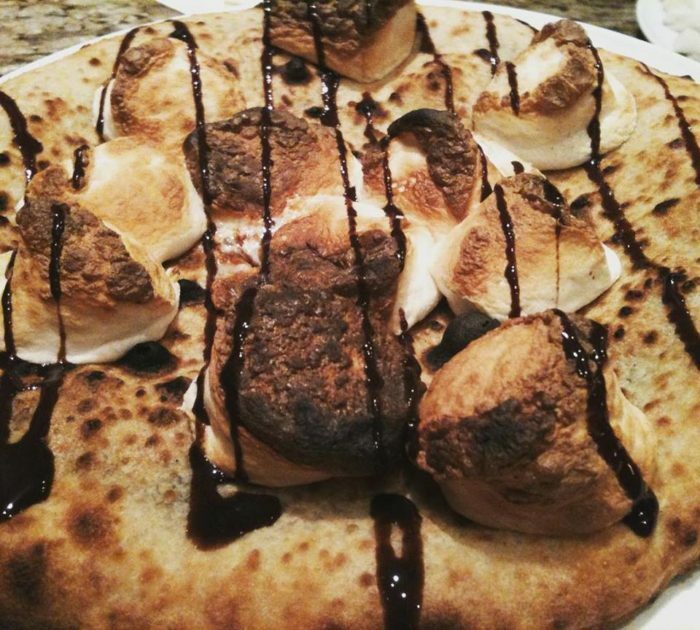 The S'Mores pizza features Nutella, graham cracker crumbs, and marshmallows melted to gooey perfection atop a pizza crust. At this creative eatery where pizza can also become dessert, you also might want to try the cheesecake pizza too. The amped-up milkshakes dubbed Freak Shakes at Cream & Sugar Cafe are a sweet lover's dream. 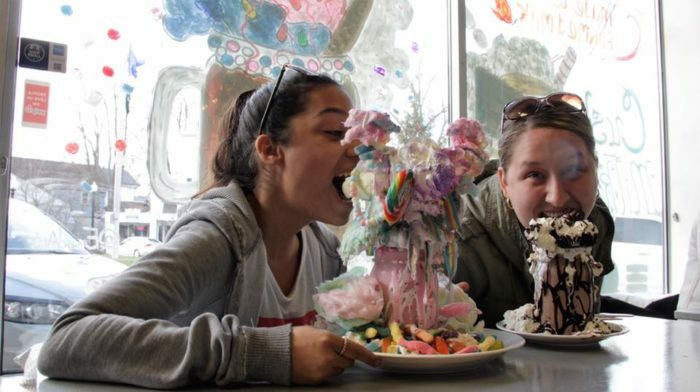 These towering creations of ice cream and candy are daunting to devour for even the biggest sweet tooth. The Candy Crush Freak Shake is the most popular seller. Topped with cotton candy and a huge variety of other treats, you'll need to skip a meal or two before taking on this humongous dessert dish. 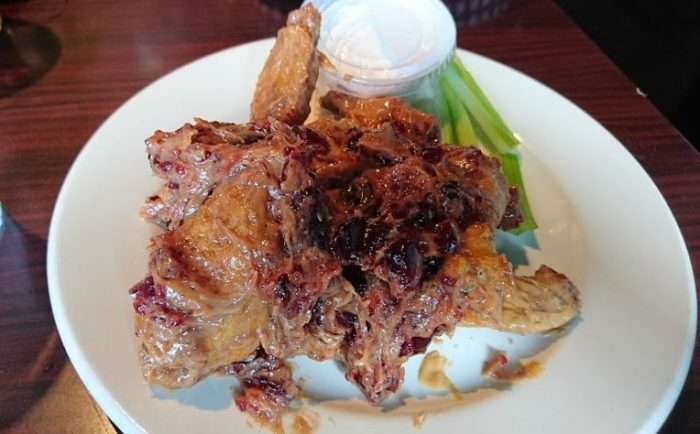 At first thought, wings slathered in peanut butter and jelly with a side of marshmallow fluff might seem odd. But the salty-sweet combination gives these wings a breakfast flavor that is strangely tasty. 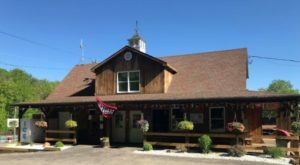 The Dew Drop Inn is renowned for its bizarre wings including flavors like s'mores, blueberry pancake, and Cajun taco butter. With over 100 different varieties, wing lovers can eat for days at this spot. Get all the details here. 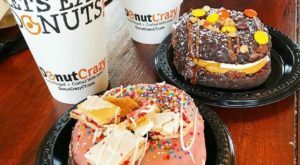 Known for their over-the-top donut creations, Donut Crazy has a plethora of unique pastries to purchase. The Blue Hawaiian was introduced last June celebrating summer. The raised shell is glazed and filled with pineapple filling. 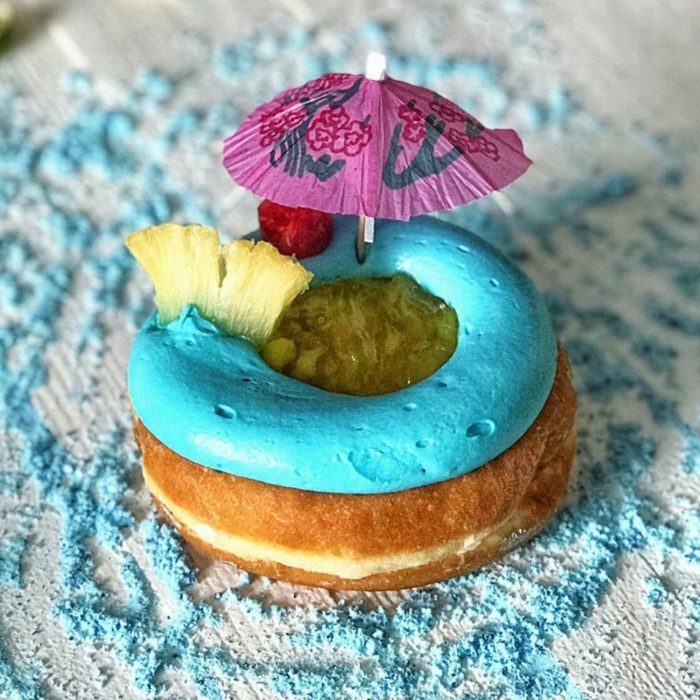 It's topped with blue coconut buttercream, a piece of pineapple and a cherry, with an umbrella on top. Check out even more of the crazy donuts at this quirky shop here. When it comes to the fresh catch size does matter at Abbott's Lobster in the Rough. 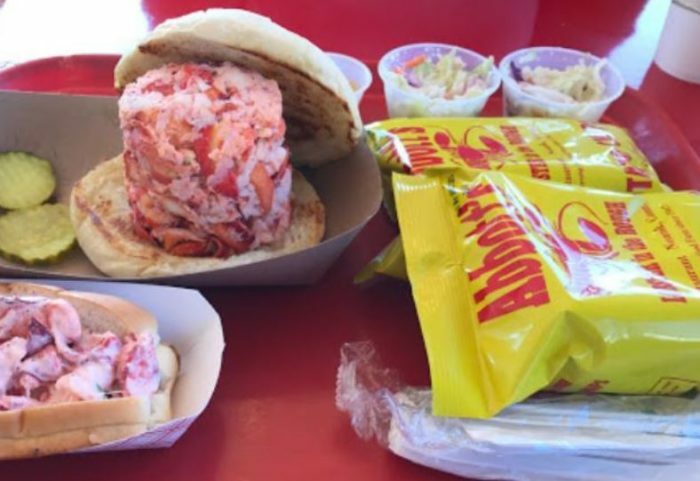 The LOL Hot Lobster Roll is nothing to snicker at when LOL stands for Lots Of Lobster. This decadent sandwich is stuffed with one pound of warm lobster. 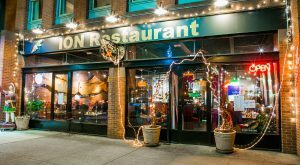 Mark your calendars now, this casual seasonal eatery will reopen on the waterfront in May. 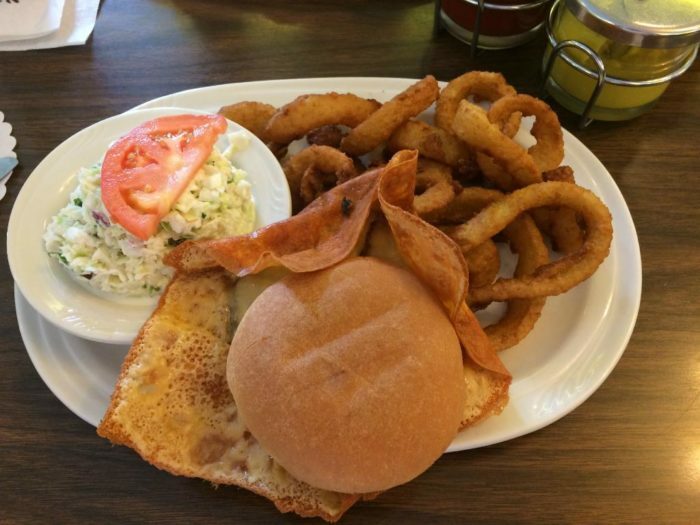 The Bernice Original Cheeseburger with its crispy cheese wings may look strange, but boy is it delicious. 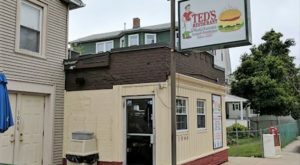 The burger at this nostalgic spot was created back in 1949 and has captured the hearts and stomachs of diners ever since. Four slices of American cheese are draped over the burger while it cooks on the grill, the cheese melts, and crisps into a yummy signature topping. 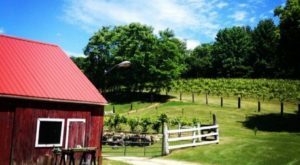 Learn more about Shady Glen here. 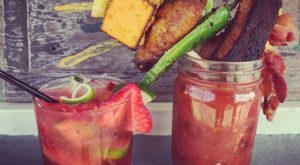 Plan B is known for juicy burgers and other delish pub fare, but their Bloody Mary is a cocktail you have to eat as well as drink. 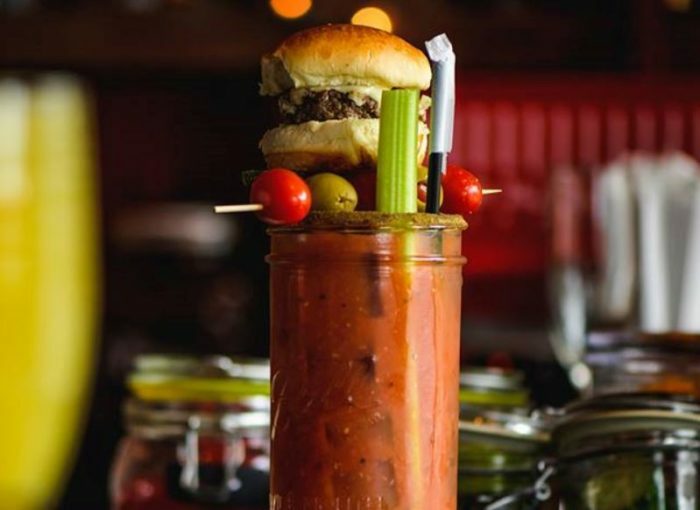 During brunch, this classic cocktail drinks like a meal with a topper of celery, olives, and a cheeseburger slider. 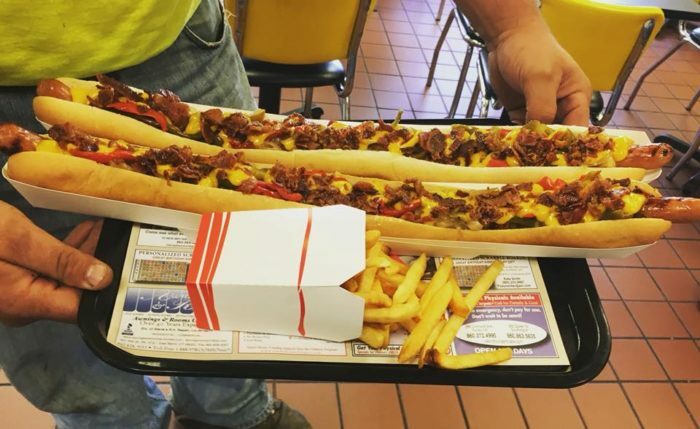 The massive two-foot long dogs at Doogie's Restaurant barely fit on the tray. Choose to eat one plain or loaded with bacon, cheese, chili, or kraut. If you're feeling really hungry, tackle their insane food challenge which includes two dogs with four toppings each plus fries! Learn more here. Have you ever tried any of these over-the-top dishes? Which ones will you be adding to your dining bucket list? If you’re feeling up for an insane food challenge, try the heaping plate of breakfast at this cozy nook in Connecticut.